This was my first time at the Constellation Research annual conference - Connected Enterprise 2016. I originally met R "Ray" Wang earlier this year at an Adobe Symposium where we were both speaking, and was immediately taken by his energy and enthusiasm. When he reached out to me to speak at this event, I was happy to oblige. From the information online about the event, it looked like it would be a good experience. Well that turned out to be quite an understatement. 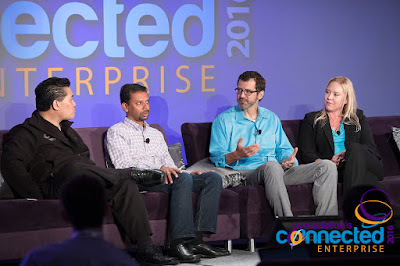 Connected Enterprise 2016 did everything right: incredible speakers and attendees, not just great thinkers but great doers; a terrific format; and plenty of networking with leaders from so many industries. Did I mention the location was spectacular?